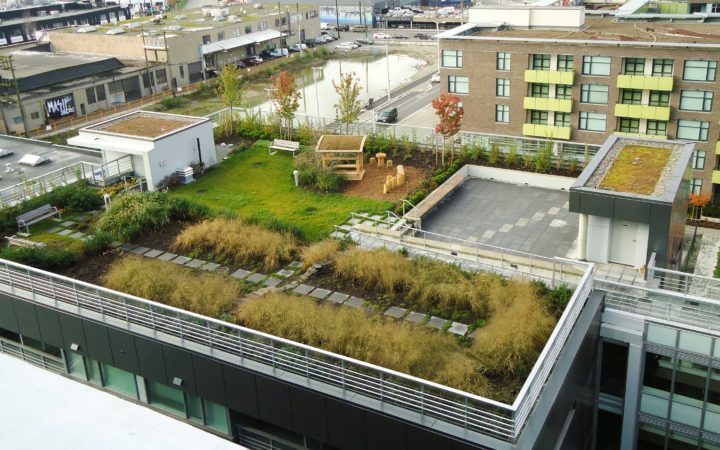 Durante Kreuk, landscape designers for the project, had a grand vision to plant giant motifs of athletic figurines across the Vancouver Olympic Village roofscape. Our green roof lady, Joy Schmidt, responded with the engineering of enormous cookie cutters to create this effect by separating red and green plants in the sky. 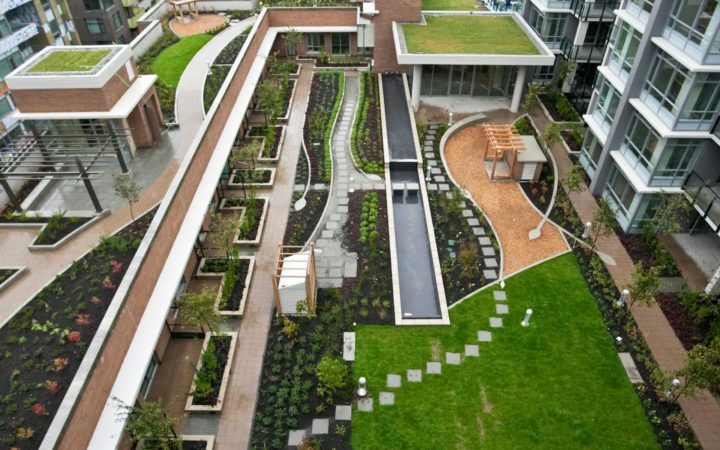 The project ultimately fulfilled not only the requirement to achieve 90% vegetated coverage but also to create a grand and lasting visual statement. 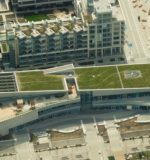 Just one example of the many environmental solutions provided along the way is the solar photovoltaic system on one of the 19 buildings. 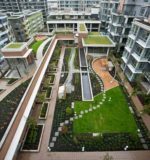 By keeping the ambient temperature cooler, it helped to enhance the overall performance of the building. 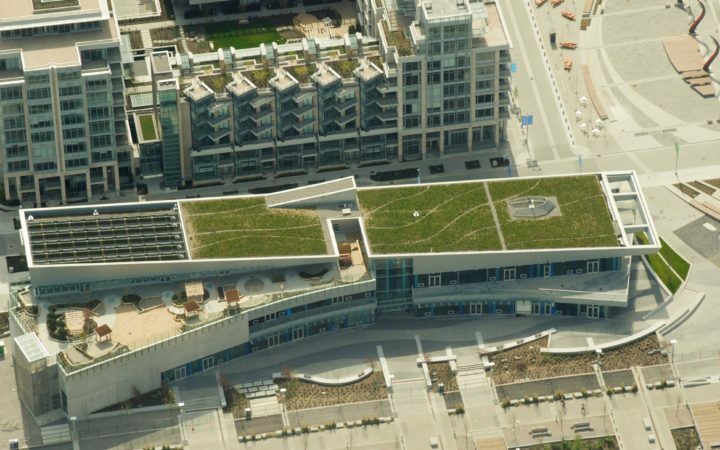 Olympic Village was tremendously gratifying work because we pushed the creative limits together, as a team. 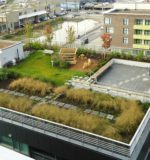 As a result of this work, the green roofs remain a lasting legacy of the neighbourhood’s role as the Vancouver Olympic Village.